Anticipation can sometimes ruin an EP before you’ve heard it. Over the past few years Hanya, frontwoman Heather Sheret and drummer Jack Watkins, have been winning over audiences and critics alike with a brand of visceral shoegaze that combines a Riot Grrrl sensibility, stark musicality and introspective lyrics. Live, Sheret’s vocals soar and rage, but this doesn’t always translate to recordings. Luckily this isn’t the case with Hanya’s debut EP ‘I Used To Love You, Now I Don’t’. In fact, it surpasses expectations. ‘Old/New’ opens the EP. Is this a subtle nod to a recent name change, the band used to be called Post Heather, or is this an old shorthand for the song that stuck? It doesn’t really matter either way, as it’s glorious. It starts off gently with Sheret’s pristine vocals, clean guitar and sharp drums, but as ‘Old/New’ progresses, things get more fractious until it ends in a maelstrom of drums, guitars and searing vocals. ‘Radio’ is the standout moment on the EP. Actually, this could be the standout moment of the year. As the song starts, you immediately get a feeling of unease and malice. As ‘Radio’ slowly builds momentums the tension and intensity is ratched until you feel you have to walk away. It’s like a musical version of peeping through fingers when you know something bad is going to happen in a film. As the guitars, drums and vocals get more intense ‘Radio’ grows and swells until it starts to wind down and gracefully fades out. ‘Trust Fund Baby’ ends ‘I Used To Love You, Now I Don’t’ with a sly wink. 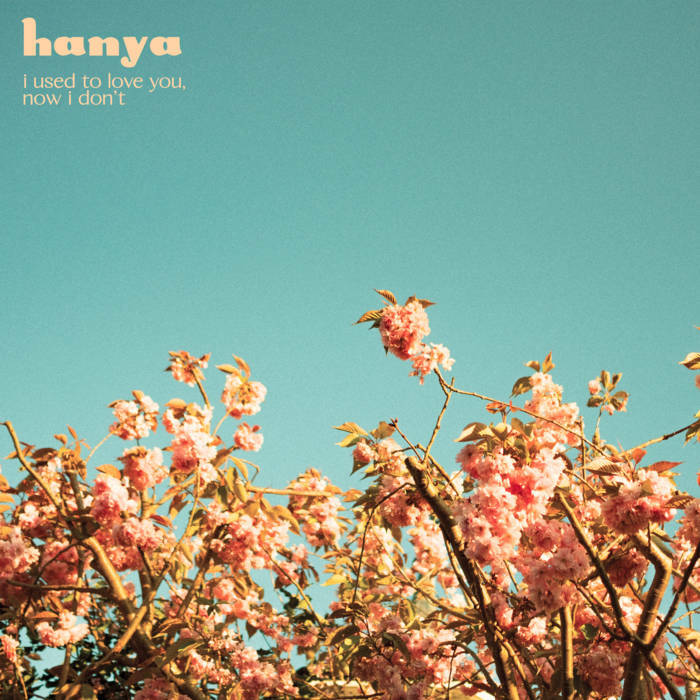 Catchy chugging guitars replace the wall and sways of feedback, making Hanya sound like a hybrid of PJ Harvey and Courtney Barnett. Lyrically, however, Sheret still has plenty of bite, taking aim at, well, all the trust fund babies out there. ‘I Used To Love You, Now I Don’t’ is a masterclass in minimalism. The guitars sound huge but are also understated. Sheret isn’t showing off by playing an endless barrage of riffs and licks. She crafts droney walls of sound through inventive chord progressions and a box of tricks at her feet. Then she opens her mouth and the voice you’ve always longed to hear appears. Her graceful siren lilts are captivating but her ability to switch to guttural shrieks and growls mid-breath is impressive. Watkins’ drums are tight and crisp. From subtle flourishes and fills he lets us know he can play, but he like Sheret he doesn’t let his ego get in the way of the songs.